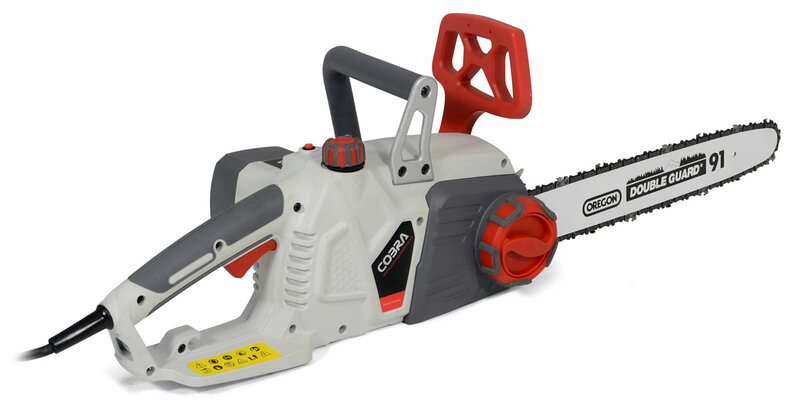 Cobra's most powerful electric chainsaw. The Cobra CS45E is the most powerful electric chainsaw in the Cobra range. It comes compleete with a 18 inch Oregon bar and chain and a 2400 w motor. Cobra electric chainsaws are fitted with an Oregon bar and chain, the worlds leaving manufacturer and marketer of chains and guide bars for chainsaws.